Melissa has worked in several outpatient orthopedic clinics in Virginia and upstate New York before returning home to the Saratoga area. She has experience working with patients of all ages and activity levels but especially enjoys treating the young athlete. 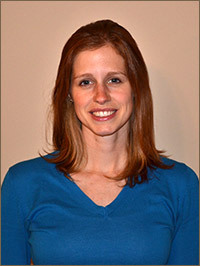 Melissa has also attended many continuing education courses to further her knowledge in manual therapy of various joints and recently has focused on rehabilitating dancers of all skill levels. She places emphasis on returning patients to their prior level of function and encourages well-being through an active lifestyle.